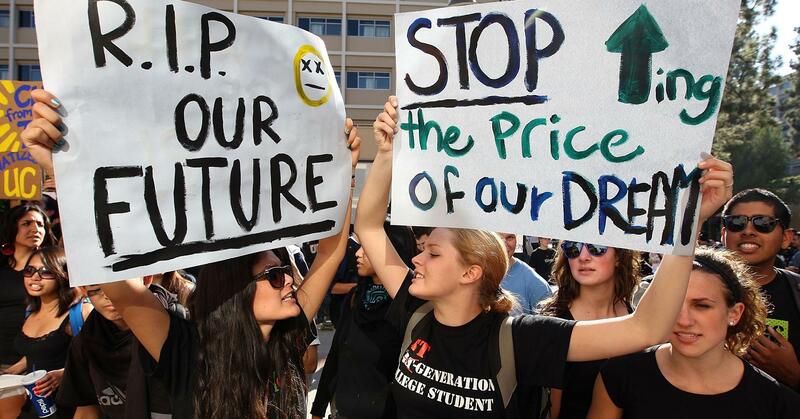 As college costs rise and incomes fail to keep pace, the problem of student loan debt has become exponentially worse. Now, nearly half of student loan borrowers owe at least $ 20,000 when they graduate, double the share a decade ago, according to a recent report by the Consumer Financial Protection Bureau. Meanwhile, the percentage of borrowers who owe $ 50,000 or more has tripled over the same time period. Fewer are also paying down their debt within five years, the report said. “People are taking on more student debt later in life, and having a tougher time paying it back,” CFPB director Richard Cordray said in a statement. Student debt has skyrocketed more than 256 percent from 2004 to 2015, according to a separate report from ValuePenguin. Outstanding college-loan balances at the end of the first quarter of 2017 totaled $ 1.34 trillion, according to the Federal Reserve Bank of New York. That’s up $ 34 billion from the end of 2016.